Having retired, Barnes returned to his former club Celtic, where he took charge alongside Kenny Dalglish for a year. 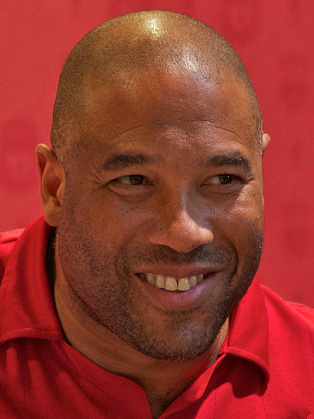 Barnes then took a break from football and returned in 2008 when he took the reins of the Jamaican national side but only held the position for six months before moving onto Tranmere Rovers. Most recently John has taken part in Strictly Come Dancing, Waterloo Road and is currently a pundit on ESPN and Supersports where he provides coverage of the Champions League. He also previously worked as a pundit on ITV and Channel Five. John has worked with a number of brands including Mars Bar, Lucozade, Standard Chartered, Hyundai, Vauxhall, Western Union and Sports Direct. We worked with John for the launch of our £2.90 Caribbean Campaign for Western Union. John was a real asset, charming, enthusiastic, friendly and a real crowd pleaser. We had huge crowds, many who had seen John’s tweets a few days before. The campaign won two awards, John’s efforts and personality were a big reason for this. If anyone is looking for a celebrity / personality to be a part of their campaign I would 100% recommend John, you won’t be disappointed, he is down to earth and will go above and beyond.